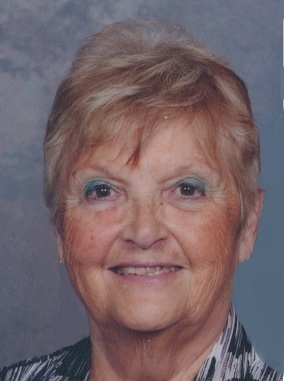 Kathleen (Kay) Richardson of Innisfil passed away at the Royal Victoria Hospital in Barrie on Wednesday April 3rd, 2019, with her family by her side. Kay was a member of the Innisfil Order of the Eastern Star District #9 Chapter #162, Rainbow-Dove Grand Representatives Association and member of the Ladies Oriental Shrine of the North America. She hosted many fundraising events such as the Friday card night at the Masonic Hall in Stroud. She was previously active in a number of charity organizations such as the Daughters of the Nile, UCW, CGIT and was a Sunday School Teacher. Kay was well known for her cooking, sewing and craft abilities. She made many wedding dresses, wedding cakes, Eastern Star Officer dresses and unique Halloween costumes for her grandchildren. Kay will be sadly missed by all who knew her. A funeral service will be held to honour Kay’s life on Tuesday April 9th at the Innisfil Funeral home in Stroud at 7910 Yonge Street, Innisfil L9S 1L5. In lieu of flowers, a donation may be made to the Canadian Cancer Society or the Make A Wish Foundation.